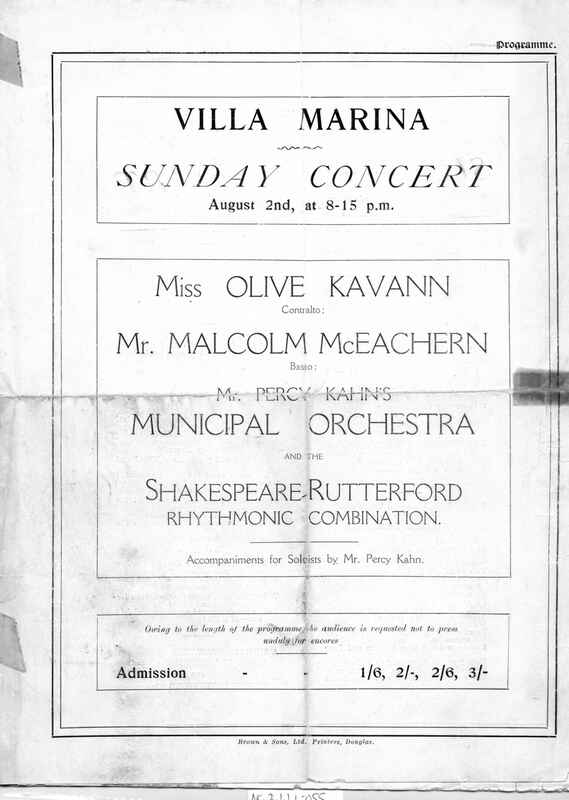 Full Description: A programme from the mid-1920, of a Sunday Concert at The Villa Marina, Douglas, Isle of Man, on Aug 2nd ??? 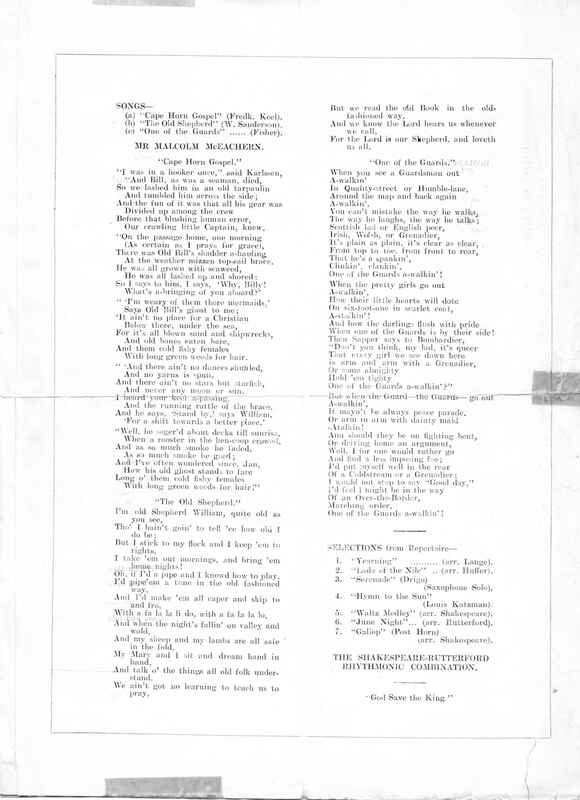 ?, and featuring "Shakespeare-Rutterford Rhythmonic Combination". 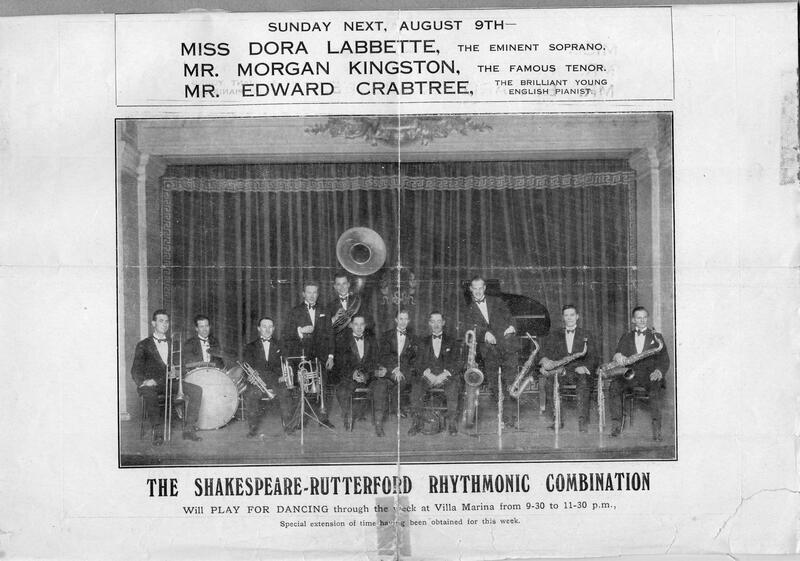 This band, featuring Harry on concertina and banjo are publicised in a large photo on the rear, and were also to appear on Aug 9th. 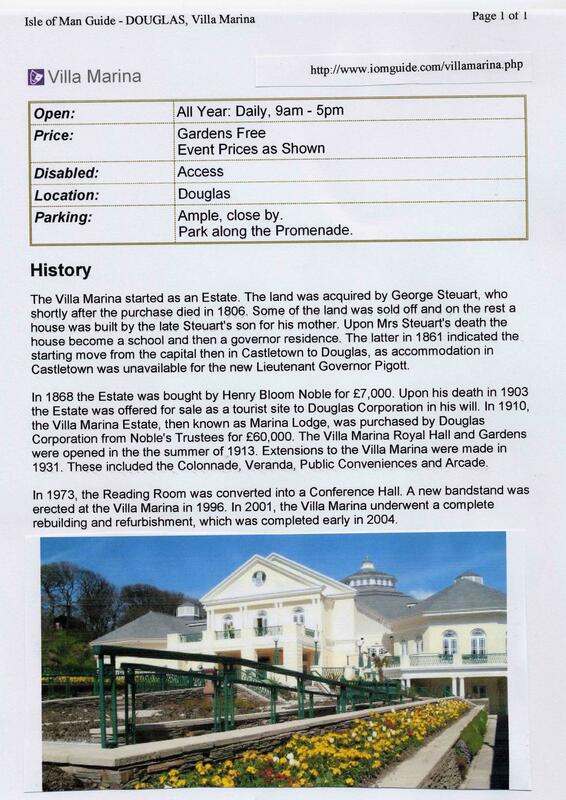 We also attach an internet print about this famous concert hall - visit www.iomguide.com/vaillamarina.php . 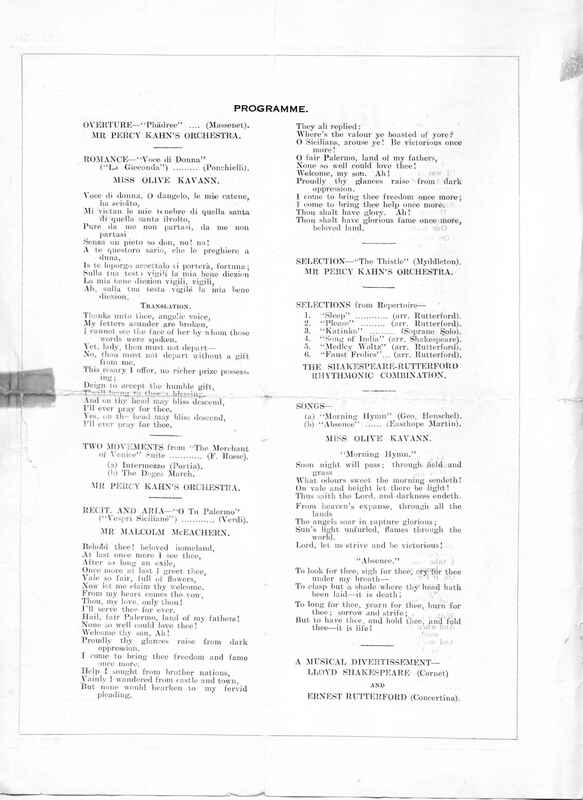 For further images and programmes of the various format of this band, see Items NC.2.1.1.1-024 , -025, -026, -031, -037, -and -038.